Manohar Parrikar was an Indian politician and he was the leader of BJP (Bharatiya Janata Party). He was the Chief Minister (CM) of Goa from 14 March 2017 to till his death. Earlier he was the Chief Minister of Goa from 2000 to 2005 and from 2012 to 2014. He was born on 13 December 1955 in Mapusa town in Goa, India. He died at the age of 63. Let us know more about him. Debut RSS endorsed Manohar Parrikar to BJP with the goal of fighting the Maharashtrawadi Gomantak Party. In 1994, Manohar was elected to Member of Legislative Assembly of Goa. Manohar Parrikar had 2 sons the eldest son is Utpal Parrikar and younger son Abhijit Parrikar. Both are married now. The little son Abhijit was married in 2013 six years ago and the Politician Rajnath Singh also attended that marriage. Manohar had allowed his both sons to choose a career in their own way. As a result, the eldest son Utpal Parrikar showed the talent in engineering while walking on the footsteps of his father. The difference was that Utpal chooses the Michigan State University of America instead of Mumbai IIT like his father. They went there to read there. During his studies, he met Uma, who studied at the University of California. After a couple of days, they both got married. Utpal returned to Goa after studying. But they are better understood to start their business rather than going in politics. He read from abroad and his wife has a strong mind and immense opportunities for business in Goa, he soon started interfering in almost all major businesses in Goa. After a few days, both of them had a son. His name is Dhruv. In 2014, when his father left the state’s politics and went to the center of politics. Then there was a complete opportunity for Utpal Parrikar to pursue his father’s work, but then he focused on his business only. Most of the time, he also lives outside the country. Likewise, younger son Abhijit Parrikar choose to his brother’s profession rather than choosing his father’s profession. After completing his studies, Abhijit went to various types of business in Goa. In the year 2013, he married a pharmacist girl. His wife’s name is Sai Parrikar. Together they manage their business in Goa. Abhijeet has been looking and focusing his more attention on the business. His elder brother had completely kept his focus on his father’s health. Manohar joined the Rashtriya Swayamsevak Sangh (RSS) at a young age and in the final years of his schooling, he became a Mukhya Shikshak (Chief Instructor). Manohar’s political career was started in the year 1994 when he became an MLA in the Goa’s Legislative Assembly. In 2000 he became the Chief Minister of Goa for the first time and continued till 2005. He was again declared the chief minister in 2012, but in November 2014 he resigned from the post as he had to move to Delhi as PM Narendra Modi named Manohar Parrikar for the post of Defence Minister of India. In 2014 he got the post of Defence Minister of India with this he became Goa’s first politician to get such a high rank in the central government. He said that he was trembling as the Defense Minister on the first day and before joining the post did not know about military ranks. In March 2017 he resigned from the post of Defence Minister of India and sworn in as Chief Minister of Goa. On October 27, 2018, Goa’s Health Minister Vishwajit Rane announced that Manohar is suffering from pancreatic cancer. He died on 17 March 2019 at the age of 63 years old due to advanced pancreatic cancer at his home in Panaji, Goa. His death was declared by India’s President Ram Nath Kovind via Tweet. He had received three big awards which were listed below. 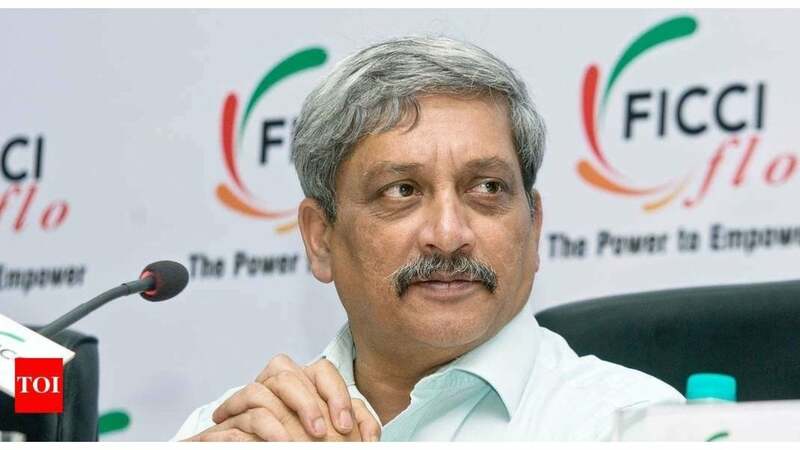 These were the latest information about Manohar Parrikar Wiki, Age, Biography, Death, Wife, Family & More. As soon as we get more details, we will update this information accordingly. Please do share guys this post with your friends and keep visit on NamesBiography.com for Indian celebrities biographical updates. You may share your experience or any kind of suggestion with us by leaving a quick comment below. Thank You! He was really a very simple person. Dedicated his life to the service of the nation. As an Indian and IIT, Bombay alumni, will miss him. May his soul RIP.